Members of the community joined forces to feed the homeless in Preston. 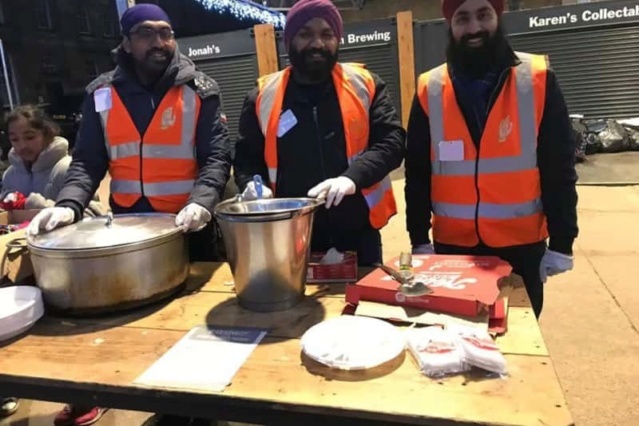 Members of Preston Sikh Seva Society UK served hot vegetarian food, such as pizza from Pizza Hut, chips and beans to people without homes in Preston. A spokesman from Preston Sikh Seva Society UK said: "Thank you to all those that participated, contributed and donated items. The appeal for the past few weeks was been absolutely amazing. "We thank the team for their dedication to distribute the shoeboxes around the streets of Preston tonight during he awful wet and cold conditions."